"Pay back the money", is a chant former president Jacob Zuma became painfully familiar with when Economic Freedom Fighters (EFF) MPs demanded he pays back money used for non-security upgrades to his Nkandla homestead. Now, the same demand is being directed at EFF leader Julius Malema by Black First Land First (BLF) leader, Andile Mngxitama. Mngxitama took to Twitter to post a video asking Malema to give back R10 000 he had given him to register his party four years ago. This follows claims made by The President's Keepers author Jacques Pauw about links between the EFF and controversial businessman Adriano Mazzotti. It's been alleged that Mazzotti is a dealer in the underground counterfeit cigarettes trade and gave the EFF R200 000 to help it register for the 2014 elections. It's also alleged that he gave Malema millions to settle his Sars tax bill. "I am highly indebted like all other black people are. 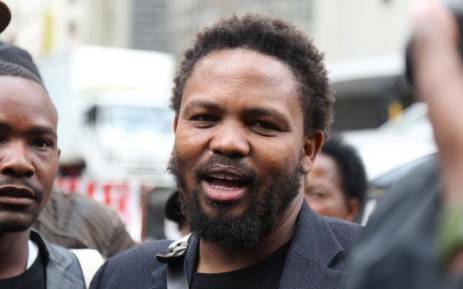 He's [Malema] not because he's got Mazzotti money," Mngxitama says in his video. "I want my ten thou [sic]... You know... it was my last ten thou, which I gave you to register the party."